While I wait for my forgeworld to arrive, I figured I would throw together some of the ideas floating around in my head on a test model to see if it came together. This is just a test figure that ultimately will either be binned or thrown in the bin, but I slapped some paint on it last night and this morning, and am happy enough with the result that I can progress from here. A bit of a hunt around, and it seems that only the Justaerin termies wore all black. There were regular termies rocking out the Aqua like a tween in the early nighties, so I'm keen to get cracking on with a bunch of them. I'd never really consider running a termie heavy army in regular 40k, so 30k is a great opportunity for it, and it should hopefully look great! Really keen on your thoughts and feedback! Once again, I know that's not a pre heresy termie, it's just a test figure. Step by step Necron painting guide. A few requests in various places have come through as to how to do different parts of my Necron army. As such, when the time came to paint another figure up for it, I took the opportunity to take some photos along the way and throw them up. I decided to convert up a Destroyer Lord to go with the wraiths. Unfortunately the normal GW model just looks far too dated, so I threw together a quick conversion from one of the tomb spyders, and poached the idea for the conversion almost verbatim from Fatdamien over at WargamerAU. The result fits in far nicer with the new wraiths. Click below for more of this clickity bad boy! So Santa was very good to me.... No doubt in response to my high level of niceness through 2012. 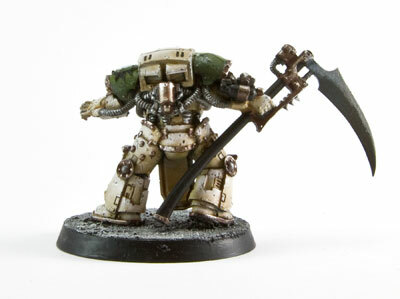 I received a set of the soon-to-be-released Deathshroud for my Heresy era Death Guard army from Tom and Jack. This case has a standard load out which will work for either my 30k Death Guard or one of the lesser (non-Skaven) races in Fantasy. 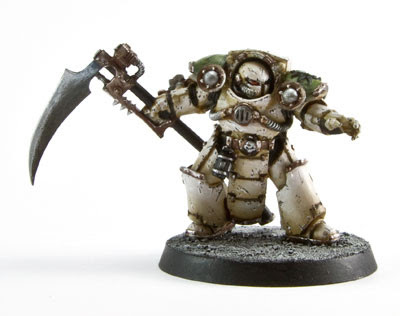 My cats - Nurgle, Spikey, Sputnik and Ripley - were on the ball this year and bought me the new Forgeworld Death Guard Contemptor Dreadnaught with Power Fist and Multi-Melta. Good choice Furry Faces! And finally, Santa got in the act. He found a friendly US supplier to send me the GW Citadel Ultimate Paint Set at $540 delivered rather than GW's NZ price of $1000 $860 (Sorry Nathan). Merry Xmas (or your deity festival of choice) to all Fields of Blood readers. Yesterday, with Jack in town and Charlie over, we managed to have a few beers to celebrate the year. The blog has really built up readership this year and really grateful to all that contribute to the discussion on here. It's great too that we've seen more NZ blogs launched over the course of the year - excellent for building community buzz. Started painting the Heresy Death Guard yesterday and they will be the main focus in January as well as upcoming Homecon. The next ten days I'm away on holiday but I'll be posting throughout the period. Lets hope Santa brings us all plenty of hobby! 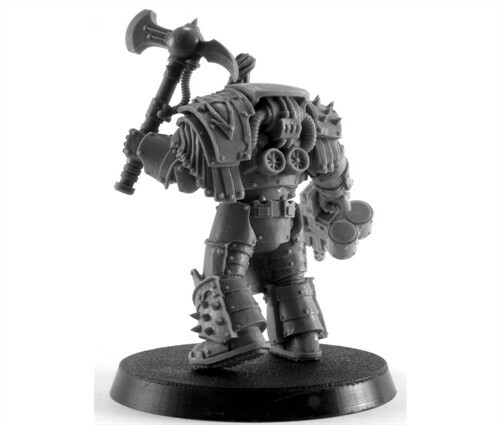 Just when Charlie is moaning like a home-schooled child who is so gifted he has no friends, Forgeworld decide to shower some love on the Sons of Horus. The black-armoured Justaerin were the pride of the XVI Legion Astartes. Tasked with forming the ‘point of the spear’, their attacks were directed at the heart of an opposing target or a decapitation strike against an enemy force. 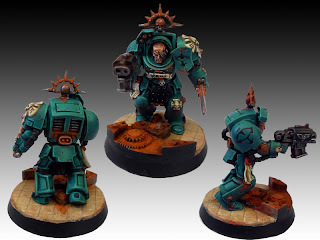 The Justaerin and their commander, First Captain Ezekyle Abaddon, were early proponents of Tactical Dreadnought armour, and many entered combat in singularly-modified Cataphractii pattern Terminator plate. 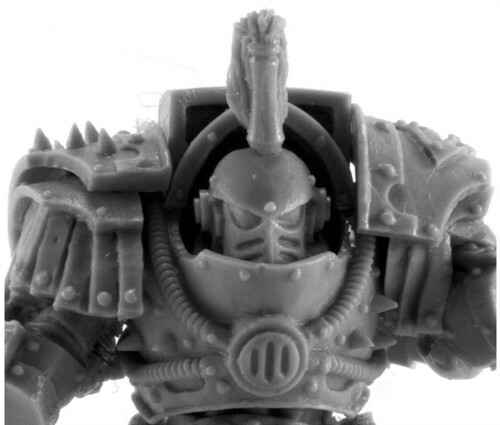 FW have released a set of 5 Terminators just for the Sons of Horus. And they are, as you'd expect, fantastic. 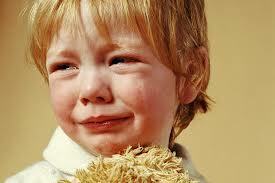 So dry your eyes Charlie, there is a Santa! 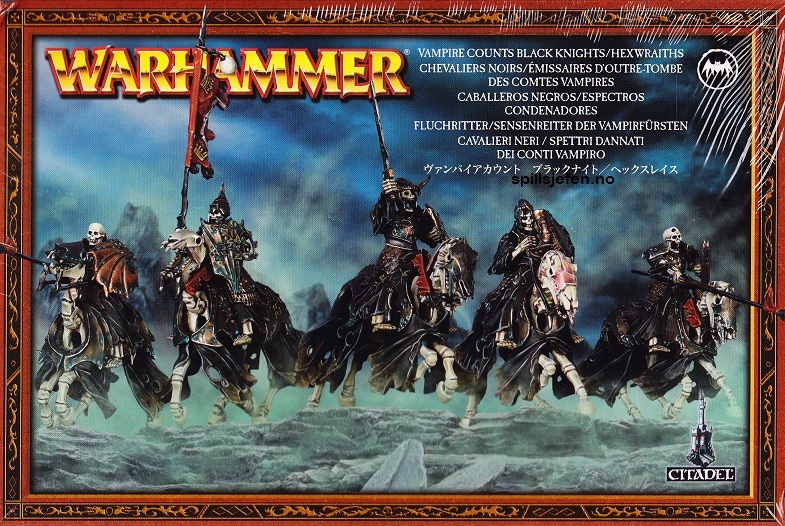 Okay, the final part and we're back to where we started - warhammer fantasy. However this time it's the misses. I'm sure not everyone will agree but that's the beauty of an opinion. I'm going to go with four sets. The best thing that can be said about these models is that they have generated more funny monikers than any other set. From "Angry Birds" to "KFC Quarterpacks", they were the "surprise" unit of the year - no one knew where they came from and why the Empire hadn't thought about them previously in its 2500 year existence. That aside, they are pretty ugly models. 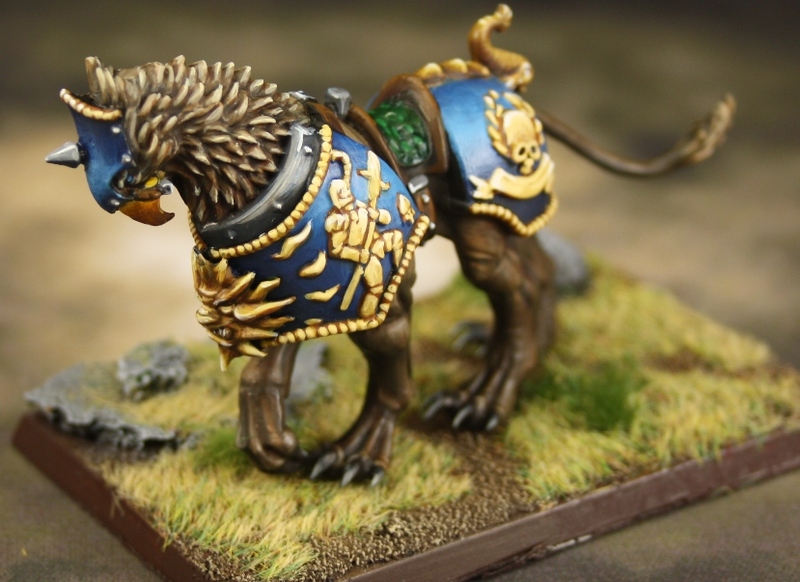 For the same reason Space Marines shouldn't ride huskies, Inner Circle Knights shouldn't ride chickens. Not only ugly but also wrong-sized. They pioneered the 50mm x75mm base and these models didn't fill it up. Apart from that I hated the propensity of Demigryph units to roll "Insane Courage" at inappropriate times. This may not be a popular choice but I hate these models with a passion. 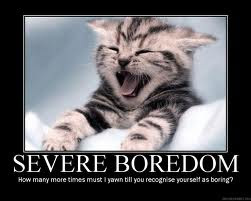 They are cartoony and have goofy/comical demeanour. 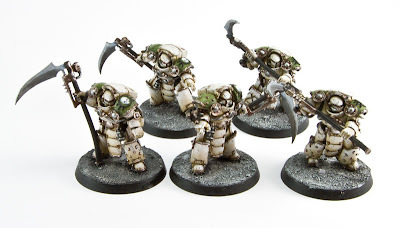 I am a big Nurgle fan but these models are just abject. 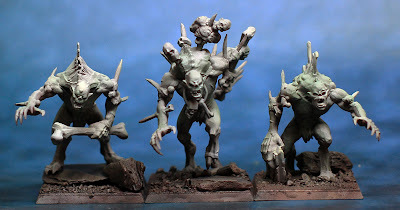 And to make them even worse is the inclusion of the Nurglings on the bases and shoulders. I am extremely happy that I've been able to buy up the older metals as I couldn't countenance ever using this dross. These are included as they represent an opportunity lost. I don't mind the Varghiest models but these so lack any imagination or creative thought. In essence they are just 3-ups of the Crypt Ghouls but what works for the Ghouls is bland for the Horrors. I have 8 of these in my VC army but I couldn't bring myself to paint them. Instead I contracted out the "task". Sorry Sam! Games Workshop released the Warriors of Chaos book in 2008. They have therefore had 4 years to come up with a Warshrine, with the benefit of seeing what other people have done. And it's not like examples are few and far between with most WoC armies having at least one (ans some unimaginative types, two). And we get this. Really, GW? Really? I honestly don't think I've seen any conversions quite as bad as this and some have been dire. Okay onto the best releases of 40k in 2012. Obviously we had the release of the rules - as yet I have not been motivated to have a game but that is largely because I'm enjoying Fantasy so much. At my age you only have so many functioning brain cells. I love the Tyranids and have a army I built back in 3rd Ed in 2002. In 2005 I hovered up Rippers and painted them up. Ultimately it was hijacked by Jack and turned into a Nidzilla. There was a period around the end of 2007 when he and Charlie terrorised people with their Nids. When the new book came out it had a lot of new models in it and this year GW filled in some of the gaps. One of them was this kit. There's not too many games where you use models depicting the birthing process, so it deserves inclusion for that alone. That notwithstanding the model stands up very well against the multiple conversions people have done in the period before its release. I am not fussed with the concept of the inclusion of flyers﻿ in the game. To me it is an unnecessary distraction. Side by side with this GW has had more misses than hits with the Flyers so far released. The Dark Eldar flyer is great, the Imperials are all awful. Rest I can take or leave.....until this one. 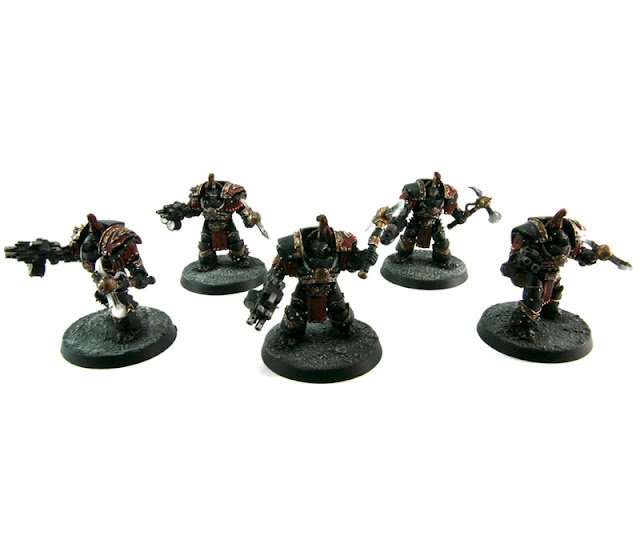 I reckon that they have sol﻿d more of these kits than they have sold Ork armies in 5ed. It is a beautiful kit and comes in multiple variants. But who builds it out of the box. Check out recent White Dwarf for some great ideas on kitbashing! 1. Forgeworld Horus Heresy "Betrayal"
This was GW's "hit outta the park" moment. It should be no surprise to anyone that this is my choice for best Warhammer 40k release. "But it's 30k Pete, you cheater", I hear the whines already. However in a great piece of forethought the rules in the book are totally compatible with 6 ed 40k. So it gets in. Beautiful production values, packed with great information - this book was the highpoint of my hobby acquisitions. Based on this, the "tale of X Gamers - The Heresy Edition" has been spawned on this site which will culminate in a campaign weekend towards the end of 2013. 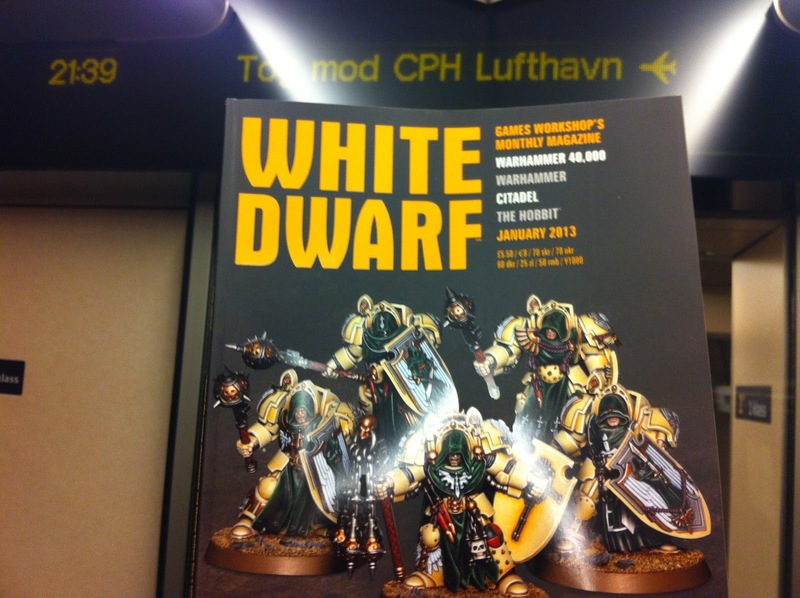 As a direct result of this book, I will build a new army and play Warhammer 40k again. The people will rejoice. 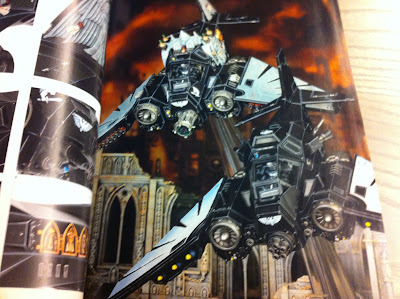 Here is the first glimpse at the new Dark Angels in the January White Dwarf. I lifted these off Dakka (hat tip). 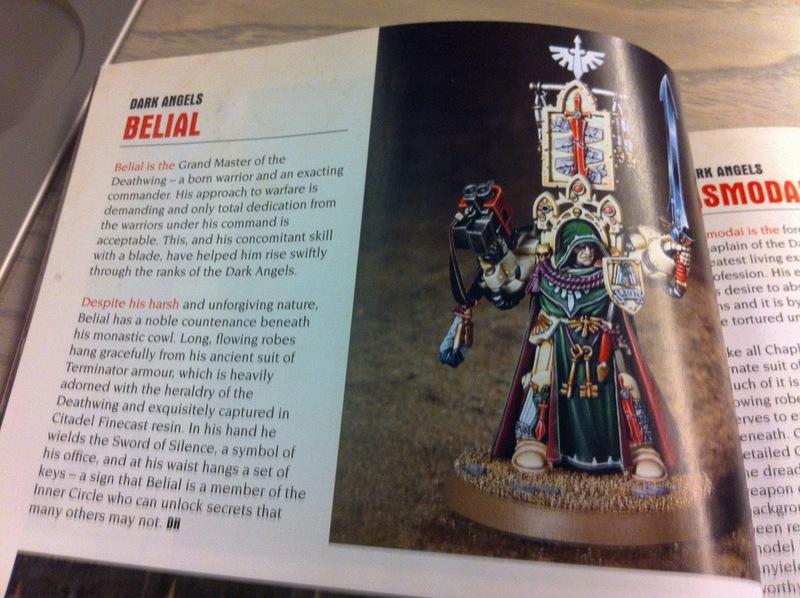 I'm not best placed to comment as I'm not a great fan of Dark Angels. 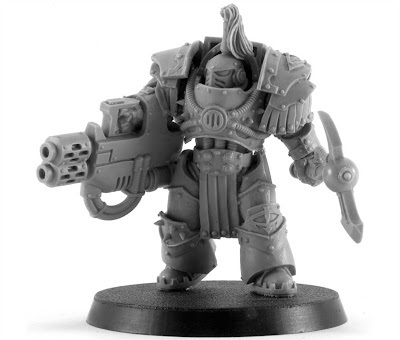 I like the Termies though. As far as hobby products went, I don't think GW missed with anything this year (with one caveat to be explained later). Rather than order the winners I'm going to just mark them all as "Success". Starting with the October issue, Games Workshop re-launched White Dwarf magazine. They brought in a professional magazine editor and radically improved the design, layout and content of the offering. It was printed on better quality paper, had a more squat format and was considerably thicker (or so it seemed). The October issue covered the release of Chaos Space Marines, November Dark Vengence and in December we had The Hobbit. The general consensus was that the first two issues were much better, however some of the accolades slipped with the December edition. now some of this would be a general lack of interest in The Hobbit as a game system. I'm willing to see how we go in 2013 but at the moment I see this as a success. 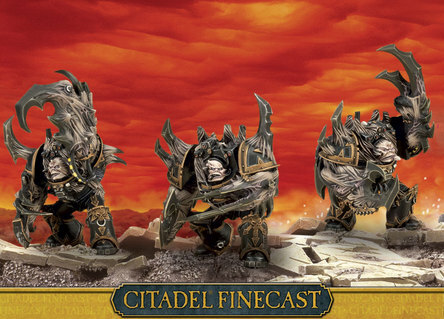 This year saw GW finally embrace the internet age and deliver products in electronic format. There was one caveat to this - you couldn't get the products if your iTunes account resided in New Zealand or Finland (copyright laws in those countries intravened). 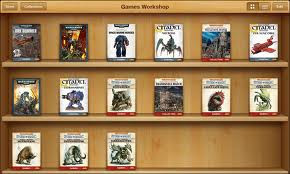 Luckily I have a UK account and so I was able to enjoy the Codex:CSM and Empire Army Book in electronic format on my iPad. 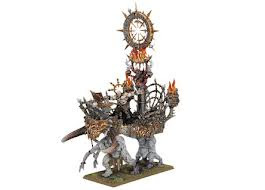 I also downloaded a painting guide for Daemons and have the opportunity to get my White Dwarf delivered via cyberspace rather than Postman Pat (my postman isn't really called Pat, his name is Hristo). One of the great things about the electronic Codex and Army Book format is that all special rules etc are cross-referenced so at a click of a button, glossary and rulebook definitions pop-up. On top of this all FAQs are automatically updated to the respective books, advising an updated (free) version of the book is now available for download. 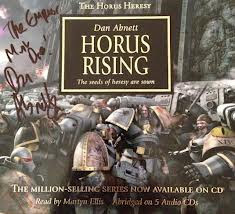 Following on the electronic theme, during 2012 Black Library started releasing their Horus Heresy books in an unabridged audio format. Previously I would buya physical copy but not I can download a MP3 file on the day of release. And these are not amateur productions. The typical HH novel is 17 hours of high quality audio presentation. I love these offerings. 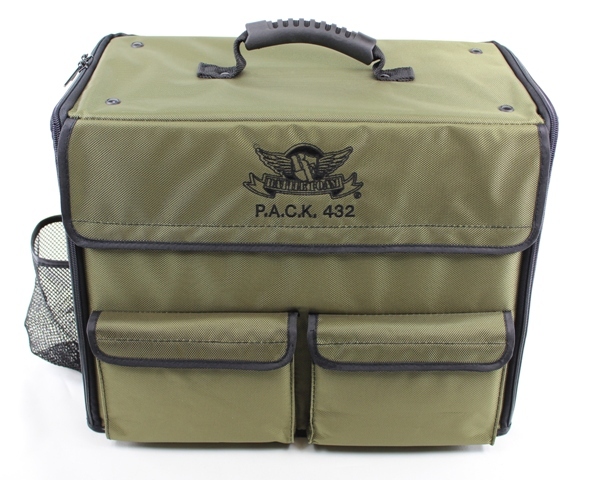 Great for commuting, painting etc . 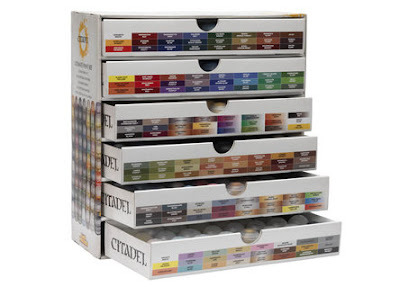 And a review of the hobby year wouldn't be complete without the overhaul of the Citadel Paint range. Not only is the colour range expanded but also a system put in place whereby you have Base, Layer, Wash, Drybrush, Edge, Glaze and Textured Paints. I have slowly started to replace my existing GW paints and Vallejo Game Colour with the new range. The system makes it easy to paint something and I used the linear progression to paint the red on 60 metal Bloodletters. It was straightforward, fast and I was happy with the result. I'd love to have the boxed Mega Set (pictured above) but it is just a bit expensive at $1000 locally. So GW have done a great job in the hobby this year. if 2013 is half as good I'll be happy. Okay, time to mix it up. Warhammer 40k and rather than Top 3, I'll give you my Bottom 3. In another year this would be competing for the worst spot but in 2012 it does have stiff competition. For Fantasy, I said that sometimes thinking outside the square works, well here's proof that sometimes it doesn't. I mean GW, really? Where did this come from? Well we know don't we? Somebody had a birthday and got an Action Toy. I thought that this model had one redeeming feature - it wasn't quite as bad as the Storm Raven........﻿but looking again, it's far worst. 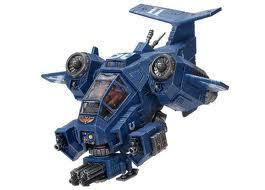 Let's put aside the fact that it is Imperial, how does the stupid thing fly. Is this really the progress made in aerodynamics in the next 38,000 years? At least the FW Stormeagle is a nice kit. Right, not even on their worst day should anyone thing Hairy Gingers riding overgrown huskies was a good idea. But to compound it further they gave you one with Lightning Claws. Again.....38,000 years guys....and you have jacked cybernetic ab-humans riding dogs. I'm going to give myself an out in that I wasn't really looking at Finecast models, confining all my choices to plastics. But really these do deserve a special meant. Let's take the already questionable Obliterators and make them worse. Time for my review of what was good and bad from Games Workshop product wise in 2012. I will pick my Top 3 and Bottom 3 in each.I've generally gone for kits rather than individual models so everything is plastic for Warhammer Fantasy. I'll be doing the same for 40k and Hobby. I'm betting I'm at odds with a lot of people but I loved theses kits. Why? 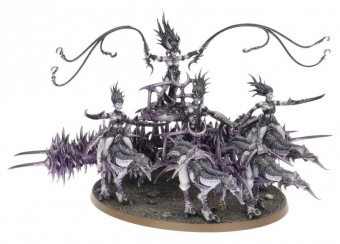 Well let me say I am no fan of the plastic Daemonettes but the vehicle and the steeds are superb. I love that these models gave a total new look to an old idea. And then when you look at the design it is oh so right. 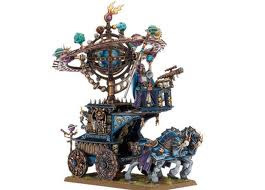 I like that rules wise it was new - giving the opportunity to mount sideways on the chariot base. And finally I love the concept of combining the two kits to make something entirely different again. A well overdue update. Forget that it has spawned BK buses, the kit itself is great. The old BK models were awful but these take all the advantages of the new multi-part plastics with a sprue absolutely packed with options. I was not so convinced by the sister kit, the Hexwraiths. Not sure why everything was flaming. Yes, balefire, but from a modelling point of view﻿ the inclusion is pretty awful. Again I suspect this might be an unexpected and controversial choice. I really like the models and think again GW has come up with something different. Sufficiently different anyway, for me to purchase two sets so I can make both up. These really were unexpected releases in terms of the dynamics of the model and enhanced the scientific bent of the Empire within the Warhammer World. This post is probably aimed more at TO's, but over the last decade I've attended a fair few tournaments. There are a few key factors here and there that jump out and make certain events stand out ahead of others, but very rarely (never) does a TO manage to nail all of the below points. 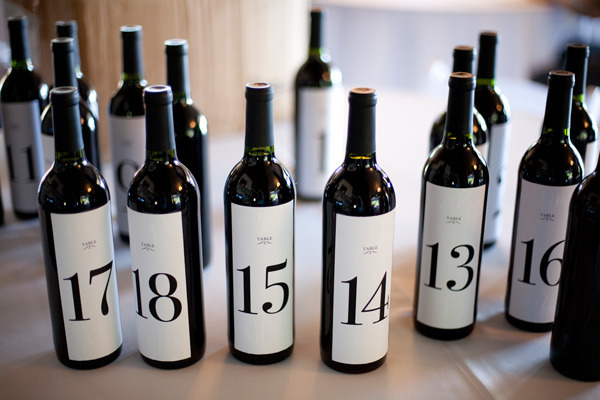 Table Numbers: This sounds straight forward, and minor, but it really adds a much more organised feel to your event. Don't make it some scrappy torn piece of exercise book with a number crudely drawn on, have the numbers fixed, and clear to see. As a TO, this will save you what will feel like four score and seven years worth of time in answering the same damn question again and again; "no, that's table 1, that's 2, and so on and so forth". Yeah, maybe don't use these for numbers. The first Warhammer Fantasy event in Wellington in 2013 is the NZ Teams Championship, with the first singles event not until Easter (NatCon). These are really relaxed affair with a BBQ each day for lunch. As it stands I can probably fit another table in so if there are two others interested in a weekend of fun gaming early in January then please drop me a line. Do they really need any more love wasted on them? We get it! There are Robed Marines, Robed Bike Marines and Bone Terminators. They like plasma. It’s been exactly the same story for 3 editions. Really? Wouldn’t it have been easier just to subsume them and release Codex: Space Marines with Special Characters to unlock Deathwing and Ravenwing? Really. 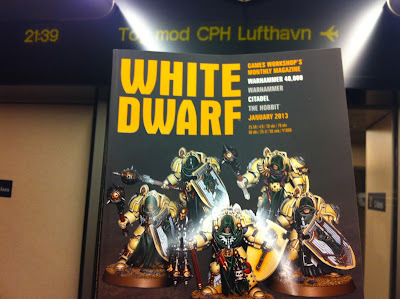 They hold about as much appeal to the universe as another Army Book: Dwarfs. Before I wrote this, I seriously thought that there couldn't be a more boring release for 40k than Dark Angels﻿. And I still can't! 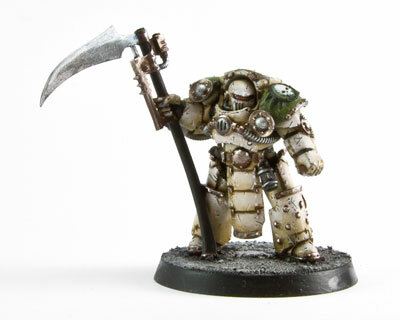 So it's Merry Xmas from Forgeworld for Death Guard players. The jigsaw they have been running is now revealed. Roll on January when these are released!!! I love Saturday mornings. Apart from the general lack of going to work, they are the day when Forgeworld and Black Library send out their new release emails. 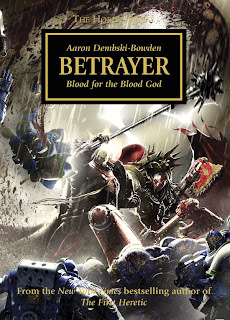 This Saturday, it was Black Library's turn and we had the release of the latest Heresy book "Betrayer". I immediately downloaded it and I am about 3 hours into its 17 hours of goodness. The book is set a year after Istvaan V and the World Eaters and Word Bearers are continuing their campaign against the Ultramarines in the Calth system. Apparently Horus has realised that for everybody's safety, it is best to keep Angron occupied. Not so much the World Eaters but just their Primarch. It emerges that Angron is his Legion's shame - he is a bit like the Dad on the anti-alcohol ads who starts breakdancing at his daughter's wedding crossed with Shouty Sam, Angry Sam, Punchy Sam and Hit On Everyone's Missus Sam. In short he's a bit of an embarrassment. Early on he gets his kicks winding up Angth tal (Word Bearer's captain) by referring to him as "Creature" and making disparaging comments about Lorgar (so he's not all bad). 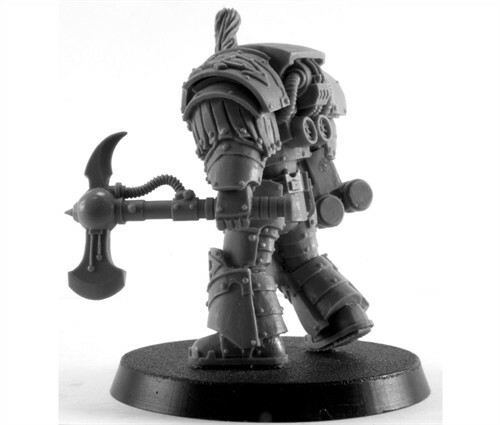 However once unleashed on the Ultramarines he becomes a One-Man-Wrecking-Machine. This is done to the effects of the "butchers nails". Kharn, who is the voice of sanity in the Legion, holds the rest of the World Eaters in-check as much as he can. There are some amusing exchanges when he comes across a squad of Word Bearers torturing/crucifying some Ultramarines. The World Eaters are clearly the "big dog" in Horus's arsenal. In the background, Lorgar is trying to get Magnus to join Horus in light of the destruction of Prospero. One thing that was interesting in the audiobook is that the World Eaters are all voiced with very heavy Russian accents. 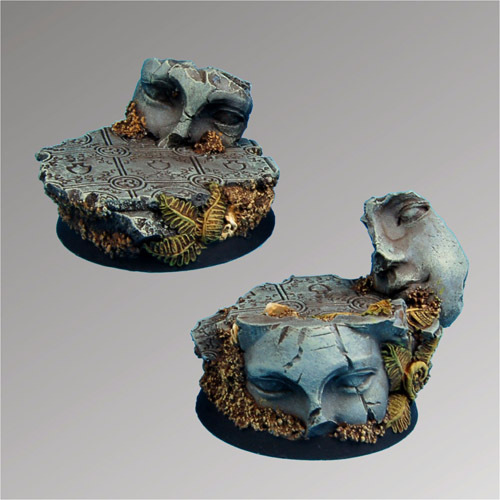 Angron has a voice described as sounding like a "vomiting of gravel and bile". Enjoying it so far....I'll let you know my thoughts at the end. By my reckoning the team has two playing members with previous ETC experience - Mal Patel and Dave Meachen but has a NPC and Team Tech who have attended previous events. There are two local players - Mal and Tim - the rest being based offshore. Haig McLisky is a New Zealander living in Australia and is #7 in Australian Rankings. Indeed the team has strong Australian component with Simon Turner (#41), Mark Audley (#45) and James Humphries (#52). I'm not sure where Michael Stewart is based. All the best for the planning and preparation for the event. 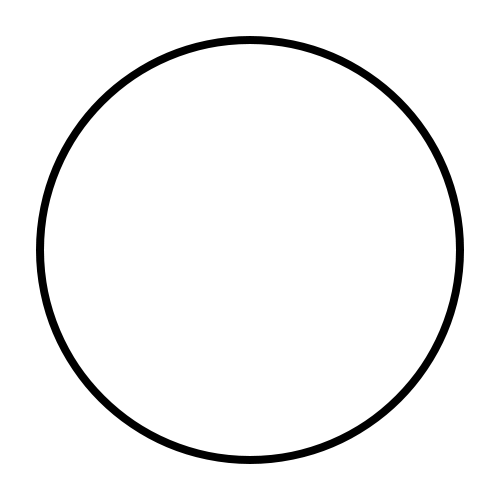 And remember guys, the NZTC still has places if you want some team practice. 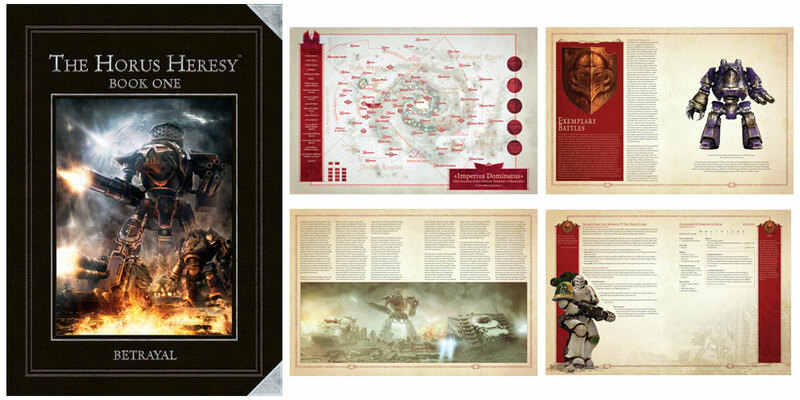 Here's the latest information on Games Workshop's 2013 Release Schedule. The place that I was hosting the Players Pack for the NZTC is down at the moment and so I have transferred it over to another host. There is still space for a couple of teams so if you are interested put your ragged band together. For those of you on the FW mailing list, you will have received a couple of Newsflashs over the past week that include a teaser of an upcoming model. Initially I wasn't too excited as the first piece showed a set of Tartaros Terminator Armour and my Death guard were going to use Cataphracti. Now the left hand piece has too interesting details on it. 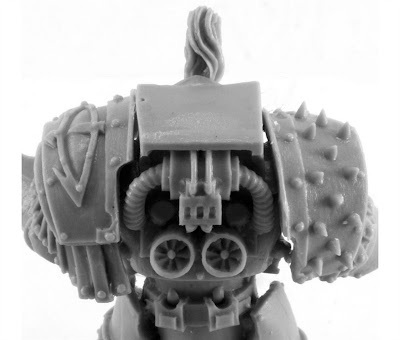 First, there is a chest mounted rebreather very similiar to that on the Death Guard Contemptor Dread. 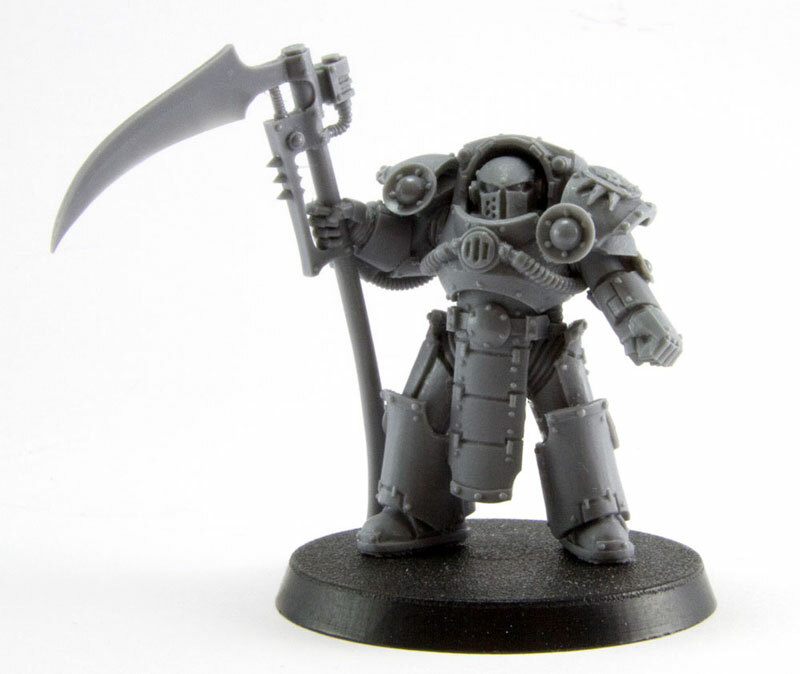 Secondly, it looks like he could be holding a scythe - Deathshroud Terminators used Manreaper-like weapons﻿. 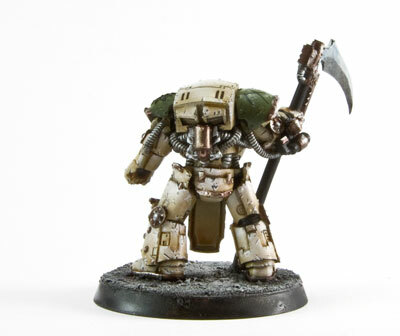 So I'm going to call it a Deathshroud - and yes they will be in my Death Guard. 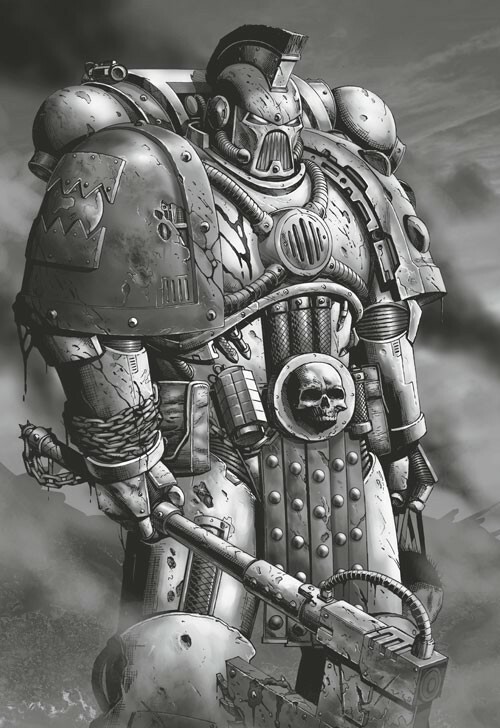 The only misgiving I have is that previous illustrations of Deathshroud have always showed them in the older Cataphracti Terminator Armour. And if Deathshrouds are here then Mortarion can't be far away. The UK Masters invites come out later this week and I am very interested to see what the reaction will be when some players realise that they have missed out on their place due to the inclusion of Team events into the rankings. My back of the envelope calculations show that ten of the Top 20 ranked players have Teams events in their best four scores. You can determine the impact of this by replacing the Team Event with the next best Singles event score. The impact ranges from -5 RPs to a whopping -80 RPs in one case for those ten aspirants. Five of the Top 20 would lose in excess of 35 RPs once these team events are disregarded. Given the gap between 16th place and 30th place is less than 17 RPs and also that the aspirant currently in the Top 16 would fall to 78th in the Rankings if Team Events disregarded, I can see some unhappy teddy bears. And that is the reason why Team Events are not included in Masters invites here in NZ. The following is taken from the Beastmen internet forum, and is a response to a comment by NZ local Warpmaster. Mierce Miniatures (the owners of Bane Legions), through Tim Fisher, were promoting the re-release of their early range. Warpy made the comment that he hoped the revenue was going to Maelstrom creditors. These miniatures were all a part of the range that was purchased from Maelstrom in May (with negotiations starting in March) - Yes, it's the same owner but the deal was done legally and above board and a price was approved by an independent valuer - Maelstrom received more than a fair price for the range - All this 'transferred for a pound' rumours are just that - rumours from people that are just guessing at best and outright wrong at worst. The deal that was done was in the tens of thousands of £s, which for a small, relatively unknown range with no game and modest sales (at that time there was little in the way of trade and distribution accs - something we have worked hard upon and grown since) was good money (I know of more popular ranges that have sold for less, some of which were touted to us and/or people I know in the past). A lot of those models had been out for a while and had their initial sales spike - many models do not sell well outside of the 1-3 month period after release, therefore they aren't worth as much as a brand new sculpt/release. Their value diminishes - yet we paid a fair price. Then work started the site which was (finally!) completed in Sept - Though we had worked with trade accs in the months prior to that as Mierce. Maelstrom had that money and if anything it kept them running for longer. I cannot help what happened with MG and if anything we at Mierce have gone out of our way to help people out. In November I had all my guys working extra hours (which they volunteered for) to get all the MG unfulfilled Mierce customers orders fulfilled. This has cost us thousands in shipping and packing alone, not to mention the cost of materials and man hours - For a small miniatures company it was a bold move and has nearly broke us. We didn't get paid for that - We've been run in our own budget since the buyout - there was no money link and if people think we are rolling in money, you're very wrong! We worked hard to get those orders fulfilled (and also keep our own orders fulfilled in a timely fashion) and had another blow when we discovered that the data we had from MG re: Unfulfilled orders was wrong and we now have more people to supply (in the NY as we don't have enough time factored in pre-Xmas as we have our own orders to ship and of course my staff want to have some time off with their familiy over the Xmas period) - All of this stock has to be cast and supplied as the stock levels on MGs site were wrong. More time and money for us for which we won't get a penny for as guess what, we're owed money by MG too! Now I'm sorry if I'm biting here - but you have to understand I have staff here that have families to feed and rent to pay - When people are saying that Mierce has ripped people off and slag us off it can affect them. These guys at Mierce work hard to get minis sent to people and orders are usually shipped the same day they are placed and all customer orders since we launched our own site have been cleared and sent by the Fri of that week. I can't do anything about MG customers with unfulfilled orders - at that point I was many months into my new tenure at Mierce - and yes people see the link, but if you think the money was hived off to us, you're having a laugh - Me and my staff had our wages paid a week late from Nov's wages as we had such a large shipping bill to pay for the stuff we sent out to MG customers - it cost us literally £thousands. Yes, the range of miniatures began life under MG, yes it cost MG a lot of money to get the range established - but it also bought in a modest amount (nothing compared to MG's turnrover of course) and the range was largely funded by the staff working on the range - We had a very lucrative side line in selling off second hand minis via ebay that bought in around £2-2.5k a week which covered our wages and then went towards paying for the sculpts - between the amount we bought in via second hand on ebay and the actual sales of the minis the total cost to MG was very little - If you factor in the price we paid for the miniatures when we became a separate entity then MG will have made a modest profit overall on the range and second hand project as whole. I've seen a lot of rumours about the total costs and they're very uninformed or selective in their info. 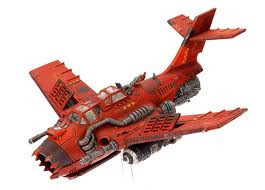 I know the info on the cost of the minis first hand - It was me that worked overtime on our second-hand line every week for two months to fund the cost of the Chimaera sculpt in 2010! We Mierce guys always wanted to be separate from MG as we wanted to be independent of any retailer and also to foster relations with other retailers easier. We had a separate part of the building, worked together and funded ourselves via our own sales and services (the only real cross-over was when I helped the events manager out with WFB events) - Finally, many months before MG went belly up we paid an amount to MG for the range that was valued by an independent, professional valuer. Mierce hasn't ripped anyone off, nor are we in any way financially responsible for any debt MG have. It pains me to see people lose out, it honestly does. I'm a hobbyist and have been since 1990. I know personally some of the people that have lost out. We at Mierce have also lost out - We've lost our largest customer - MG had selling power that's for sure - There are many ranges that have broken into the UK/Europe on the back of MG stocking their range. We're now waiting on our trade accs to pick up the slack, which is definitely happening as their sales are increasing though it will take time to get replace the lost sales via MG.
Also we've spent a lot of money we had built up on shipping the unfulfilled MG orders for Mierce product as we felt passionately about getting stock to people - We needn't have done that - In many ways we would have been better off to the tune of a few £k but nonetheless we did it and hopefully a couple of hundred customers will have got their stuff in time for Xmas - No it doesn't help everyone, but it's the best we can do. I've thanked my staff members personally for the effort they have put in and I'd like to thank them here as well - They have worked their socks off and busted a nut to get those orders out. Resin casting is a slow and labour intensive process (though one with great results)! and it wasn't easy. The elephant in the room - Rob Lane. Everyone hates him, he ripped loads of people off right? Put it this way he doesn't have £500k in his back pocket because of this (the total debt to suppliers wasn't £500k that's end of years accounts the debt was more like £200k with GW @ circa £40k) - And Rob struggles to pay his mortgage every month and feed his missus and kids like the rest of us. There's no throne of gold that he's cackling atop. I know Rob, I've known him years we played in the same wargames club for many a year. I know how this has affected him, I've seen him age before my eyes in the last few months. Is he a crook? No (I wouldn't work for him if so) . Has he made mistakes with MG? Yes. When GW stopped MG from selling to the rest of the world removing £1,2million from turnover at a stroke maybe he should perhaps have laid off 20 staff there and then and sold off the gaming venue and the mini range back then and ran the online store from a facelesss unit in the middle of nowhere. But he didn't, he tried to keep things going, which as a person it is to his credit as all those staff managed to pay the bills for another 18 months during a world-wide recession. In hindsight had he been a more ruthless person he'd have done that and many staff would have been made redundant. People have certainly lost out on money on orders they placed with MG and that's terrible, though it's as a result of Rob not wanting to lay off a load of staff. Did Rob want this to happen? NO, he's been backed into a corner - he had a plan, it was stuttering along but the debt was being reduced (at the end it was around £96k, but that was down from £120k earlier in the year so progress was being made and payments were being made) in the end once the rug was pulled he was out of time and out of money. Some people out there have lost out on a large amount of their disposable income that they spent on miniatures that were never sent. I know a lot of people that have lost their jobs - Rob himself also just lost his main source of income (MG). It's not like the guy planned to lose his main source of income, make redundant all his staff, become an internet pariah, blacken his name and enrage a load of customers - oh and lose the company that he had spent years building up and was emotinally invested in not to mention financially. Cash flow kills companies and in the end the cash flow was wrecked and he was ruined. I don't doubt that there are certain people in some quarters that have taken a great delight in this - But in the end the whole story will emerge and some people out there are far from innocent in all of this despite the smoke and mirrors. Mierce's future remains very much under Rob's stewardship - he will write the game, he is the guy with the vision who will bring the stuff in his head to life. Mierce remains fiercely independent and there is no legal challenge anywhere from anyone to Mierce's ownership. None. OK I've said my peace - I'm not sure what difference it will make in the grand scheme of things. I won't be dragged into a long internet debate as I'm not sure anyone has ever seen one of those resolve amicably- I shall concern myself with posting purely on Mierce matters from now on. I can't do anything about Mierce other than the Mierce team have done their best to help out in all of this and we continue to send orders out promptly. Well, a little late, but I finally got around to taking some photos of my army. Unfortunately I had to use my wifes camera, without a tripod and in failing light, but I think I did an okay job of cleaning the photos up! It's a wraith dance party! Shrimp anyone? Perhaps a prawn?